Hey Buddy!, I found this information for you: "Whiting with Roast Potatoes, Chorizo, and Chargrilled Broccoli". 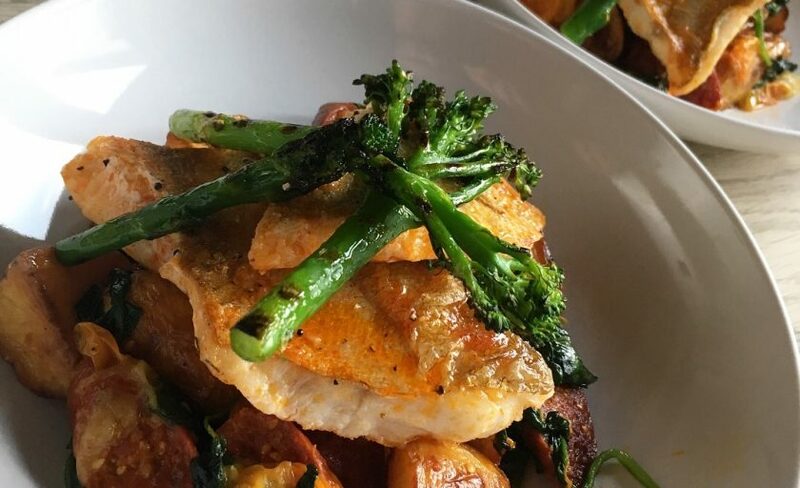 Here is the website link: http://www.aglassofredwine.com/2018/06/13/whiting-with-roast-potatoes-chorizo-and-chargrilled-broccoli/. Thank you.